Video your max efforts of pullups. 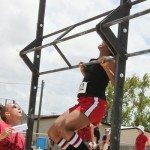 Post up your video of you doing pullups (chin above bar) on the SEALgrinderPT facebook events page. You will be judged by TEAM SGPT. 2 divisions – dead hang pullups and kipping pullups (regular or butterfly ). Highest number of accurate chin above bar pullups wins. No time amount but must be all in on bar session (no dropping off bar and starting again). 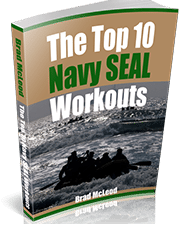 In the case of a tie – you will get 1 extra pullup point if you call out “SEAL grinder PT” at the start of the video. 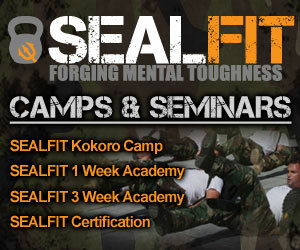 1 extra point if you add a visual link www.sealgrinderpt.com. 1 extra point if you imbed a link www.sealgrinderpt.com – so 3 extra pullup points available to be used in a tie breaker. All pullups must have chin over bar. Leave no doubt. Dont submit a video with chin almost over the bar. SEALgrinderPT will be posting up tips and advice during the whole contest to give you little golden nuggets to help boost your pullup PR. Prizes to 1st, 2nd and 3rd of each division plus the notoriety of being the “Grinder Pullup King (or Queen) and braggin’ rights for the whole year. If your company is interested in sponsoring this event please contact us. Put on your game face and lets get it on! 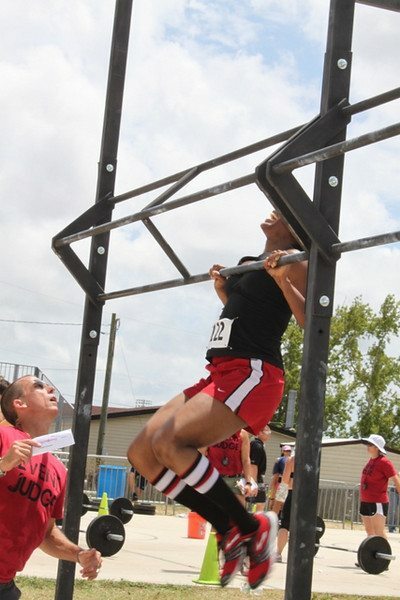 The winner in the 2011 contest for dead hang pull up division was Lee Wade Turner with 41 perfect pull ups. 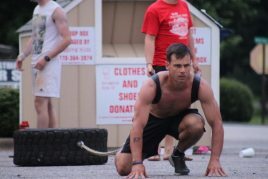 Check out Lee Wade Turners interview as he discusses bodyweight training and being a Bar-Barian.